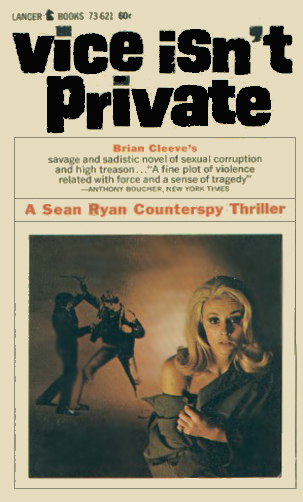 Sean Ryan is an agent for the British Secret Service. He certainly did not set out to be. He was a member of an Irish gang who had come to England to make an unscheduled withdrawal from a British bank and then head home. Most made it but Ryan did not. He was sentenced to fifteen years at maximum security. Ryan had not been a member of the IRA, despite what most of the British authorities thought, nor had the other members of the gang. The group were just criminals in need of money and the bank looked like it had some. When Ryan was caught, the others laid low for several months, expecting that he would eventually break under interrogation and give them up but Ryan was steadfast and held his tongue. Whether Ryan was or was not an IRA member did not seem to matter to the Major, the aged department head who came to visit Ryan five years after the conviction and one-third of his way through the sentence. The Major needed a man with similar skills and background to that of Ryan. Mainly he needed a man who could hold his own in any scrape, was tough enough to win in the end, and who appeared to have a criminal background. Since using someone real was easier than making up a cover, he went to the prison holding Ryan and made an offer. Help on this one job and the remaining ten years of the sentence would be forgiven. Ryan took the offer. Later, as the series continues, he opts for accept the offer of further employment. He knew he had a choice but when you are broke, unemployed, and an ex-con, there is not a lot of better options. Ryan is a fighter and usually a winner. He is a hard man when he has to be but he is not cold by nature, just by profession. He likes the idea of belonging to something and the job offer that comes his way from the Major seemed like a good idea after reflection. And since he really had no political leanings against working for the Brits, he gets along well with his boss. And it is a legitimate job which for an ex-con is not easy to come by. It is not nice work. As the Major tells him, someone has to clean the streets and while it can sometimes get quite dirty, it has to be done nonetheless. Ryan sees no reason it cannot be done by him. 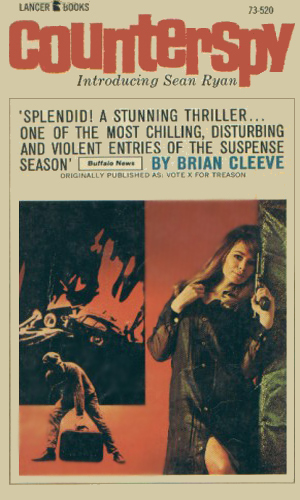 Sean Ryan is released from prison to go undercover, infiltrating a growing fascist movement in England which is treatening to overthrow the existing government. Though he has had no training as an agent, he definitely has the natural talent. 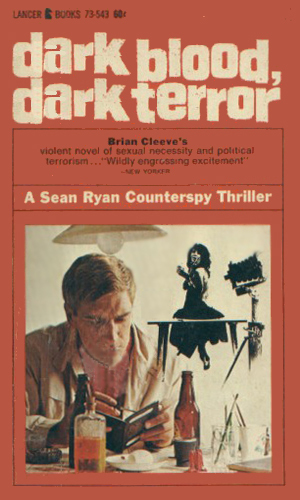 Sean Ryan is directed to infiltrate a anti-South African group dedicated to the violent overthrow of that nation's government and the slaughter of the whites running it, or so he is told. He decides to find out for himself. When a British Cabinet Minister is blackmailed over a very unpleasant event in his distant past, he turns to the Secret Service for help and they assign Sean Ryan as the man to track down the blackmailers and destroy them and the evidence. Sean Ryan is curious why a man with no reason for suicide would, after posting an advertisement to the Security Services about something they should know, then shoot himself in the head. Could it be there is a mole in the Service who didn't want revealed what the man knew? 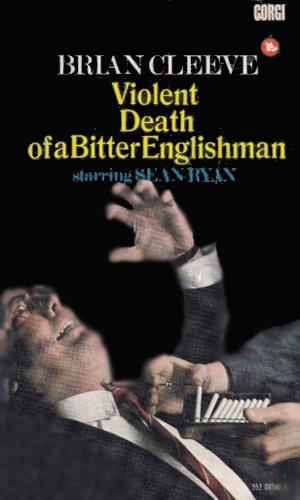 The adventures of Sean Ryan are very violent and bloody as he deals with people who are very not nice and who are determined to stay that way. That means that to stay alive, Ryan must be as mean and nasty as they are, or even more so. He chooses the more-so. True to the Major’s words, Ryan’s job is often like street cleaning, a sometimes dirty job that needs doing. Ryan is not afraid to get his hands dirty, or his knuckles bruised, to get the job done and he does like winning. The writing style is a bit train-of-thought at times but straight-forward at others, leaving the reader a tad disoriented. Still they are good reads for the most part.